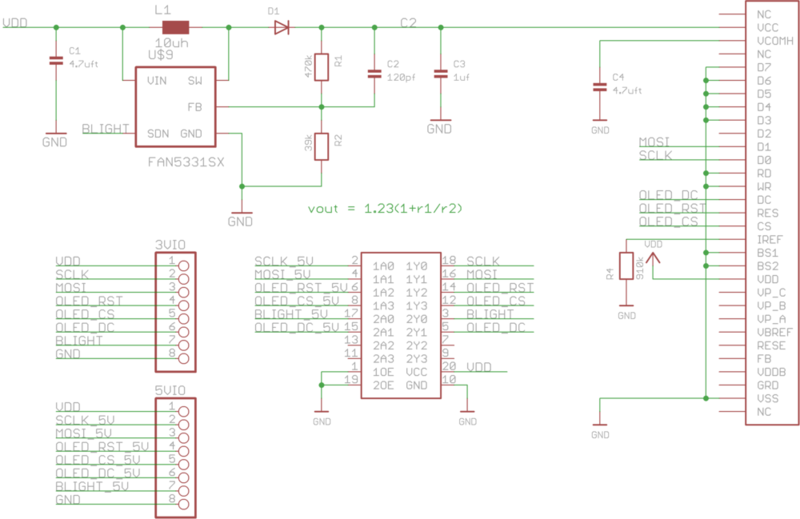 Yeah, I agree with you, the FAN5331 is probably the best choice for an OLED boost converter. Awesome stuff as always! I’ve got 3 of the 96*64 ones, haven’t gotten round to using them though. Can’t wait for the code and schematics. You can use a Taobao agent, As a matter of fact I got my 3 OLED screens shipped to Europe for a grand total of about 15usd. I used yoybuy.com but there are many more alternatives. @Rubu: OK, thanks for the tip! Thanks for the heads up on yoybuy Rubu! 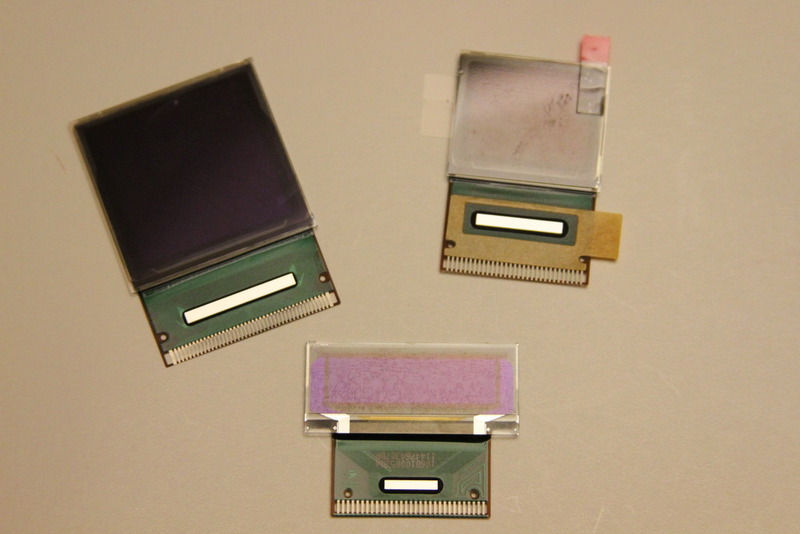 @Rossum: Ever thought of using the iPhones 3G screens for a project? You seem to have a knack for figuring out what ic’s these displays use and most of us don’t even know where to start! The iPhone screens are 320×480 3.5in and you can get them on Taubao shipped for $20USD. They also have the capacitive touch screens for a whipping $7USD. If you want to go crazy get the iPad screen at a whopping 9,7in and 1024×768. 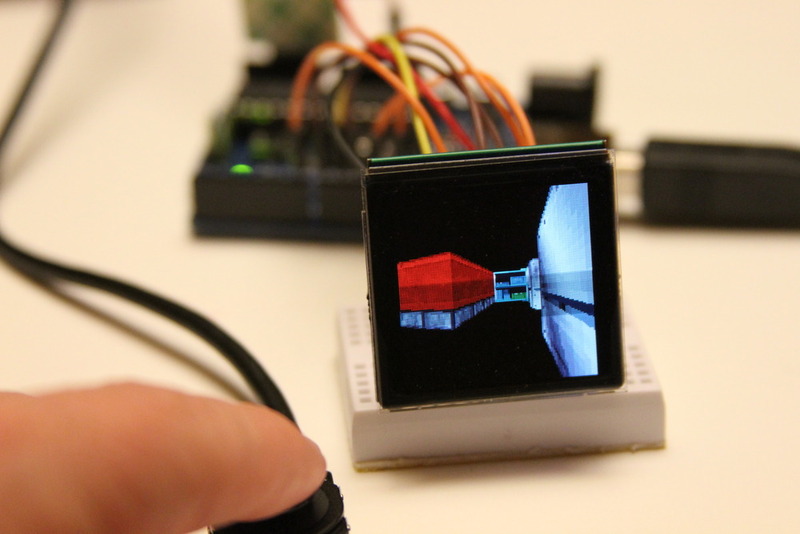 I don’t think an Arduino let alone a Cortex-M3 could push that display but for $60USD ill buy three! I have used yoybuy and taobaonow with no problems. taobaonow has a better ui. 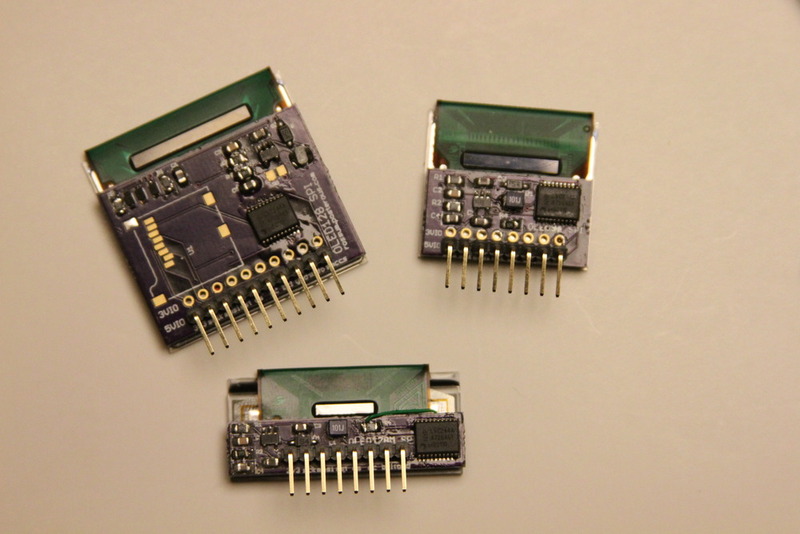 I have been fiddling with the 3G screens; they are a little tricky because of they have a high speed serial rgb interface and funny connectors. One of these days I will get around to the iphone lcd + cap screen. I really like using spares from things like the ipad/iphone/nokias etc. Can’t beat volume pricing and the occasional ghost shift. On that note; I think the SE X1 LCD’s are also a nice one, 3,2″, 480×800. Can even be had for a little less than the iPhone 3G screens (DealExtreme actually carries them at 24usd). A guy I knew was having a go at figuring out the interface, not sure whatever happend to that though. How it’s possible to buy from taobao? I’m from Portugal. @José: Like mentioned above, you can use a taobao agent like yoybuy, or taobaoagent. ok thanks, i searched and had find obook too. which one do you recommend?! 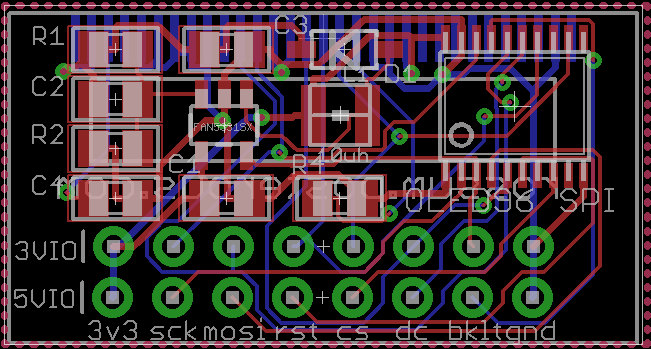 Anyone fancy doing a bulk order of PCBs and parts? I could take a few. I will contact Seeed and see if they can supply PCBs and the actual displays. This looks extremely interesting, and dovetails into something I”ve been trying to work together but don’t have the technical knowhow for. 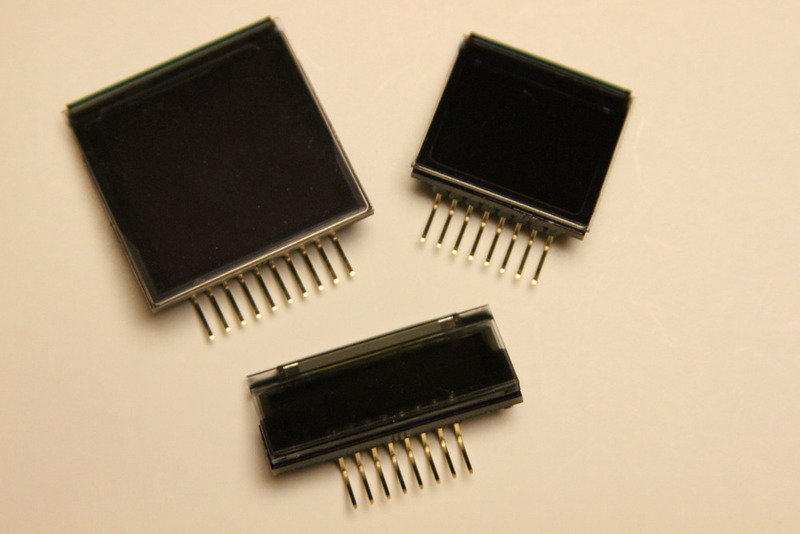 Could these OLED’s be used inside a soldiers helmet with a portable comms system and a small USB style camera to allow soldiers to transfer data quicker? If you are interested in hearing more of what I”m working on you can contact me through my facebook page. @Rubu which taobao agent do you recommend?! Hey Peter, we chatted a few months ago about the wristwatch project I’m working on. We’re about to launch a hacker API and wanted to know if you’d like an alpha test device to try out? I tried pinging you by email, but if you get this message you could hit me back at eric AT allerta.ca Thanks! Perhaps even simpler is there a way simply to set/drive the frequency and duty cycle of the PWM on these displays? — is that exposed through the SPI at all? thanks for that really great stuff!!!! Have you ever got an iPOD nano G6 OLED display working? I’m pretty sure you have swapped the VIN and SHDN pins on the FAN5331. I need some help recognizing this LCD I have.